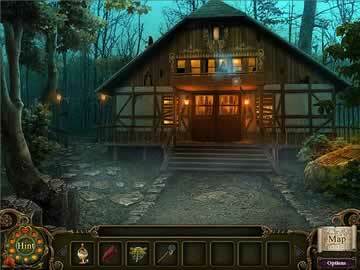 Dark Parables: The Exiled Prince Game - Download and Play Free Version! We should all be familiar with the story of the Frog Prince who was cursed into taking the form of an amphibian, turning back into a human only after meeting a fair princess. Sometimes, the tale ends with her kissing him, and sometimes it ends with her hurling him into a wall, but the result is the same either way; the curse is lifted and the two live happily ever after. However, what would happen if that wasn’t exactly the case? What if the story really didn’t have a happy ending? You’re about to find out after the Chancellor’s daughter, Marie, goes missing one night after an extended walk in the Black Forest of Germany. As a detective who specializes in cases related to myths, legends and fairy tales, it’s up to you to find Marie and bring her home safely. Just hope you don’t get in over your head. Just because you’re going against the Frog Prince doesn’t mean you’ll be in for an easy ride. The Black Forest at night is dark and creepy enough as it is, but you’ll quickly discover that there’s an entire kingdom beneath it; a lifeless and silent kingdom where nothing is as it seems. And everywhere you go, you can’t help but feel that the frogs are watching you. Explore large, detailed and extensive environments based off of a variety of fairy tales. Stay on track with the map, which shows where and when new puzzles and hidden object games become available. Highly interactive environments! Collect items you find, examine the scenery, and see what happens when you get a little too close to the local amphibious wildlife. 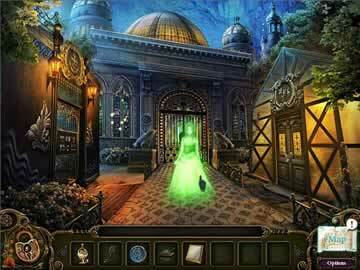 If you’re well versed in the hidden object genre, get ready for things to get shaken up. The usual textual grocery list of items is now a thing of the past! Now your list consists of pictures of the objects you need to look for, so you know exactly what to find. It won’t be easy though, because everything is just as obscured as you should expect. Additionally, you won’t just grab a random assortment of junk. Everything in The Exiled Prince has meaning. All the little items you grab are put together to form larger and more important things. You’ll assemble decorative panels, complicated wall switches and even keys, all of which you’ll use to solve the next puzzle you come across. 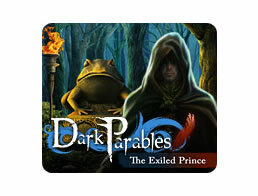 If you enjoy fairy tales, or more accurately enjoy watching them get twisted up, then Dark Parables: The Exiled Prince is the right game for you. With its unique take on the most unexpected of stories, innovations to the hidden object genre, and the sinister atmosphere it oozes, not owning is as terrible a curse as the one placed upon the exiled prince himself.